It’s already a well-established fact that Ford is putting out a Mustang-inspired electric performance crossover. We know that it’s going to get somewhere north of 300 miles of range on a single charge, and we know that, according to Bill Ford, it will “go like hell” as far as performance is concerned. We’ve also seen a rough look at its shapely, Mustang-inspired derriere, confirming that this crossover will very much be a pony of a different shape. According to Motor Trend’s “MT Confidential” column in its April 2019 issue, Ford might not be stopping at a Mustang-influenced BEV crossover. 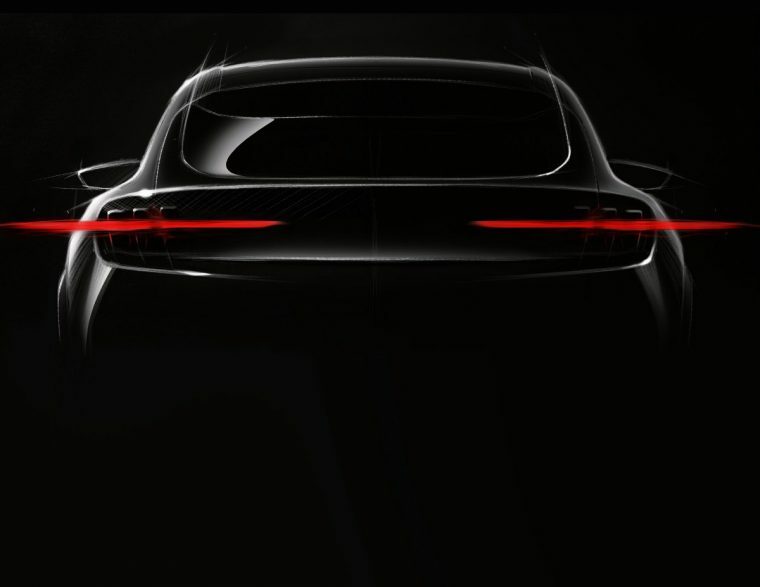 It’s insinuated that the platform that now underpins the new 2020 Ford Explorer and 2020 Lincoln Aviator was planned for a large Lincoln prestige sedan that would run counter to the Cadillac CT6, but it will now underpin several Mustang-branded performance crossovers that will adopt a coupe-like profile comparable to BMW’s Sports Activity Coupes. Since Ford announced plans to axe every sedan in its lineup and leave the Mustang standing as its only true car, rumors have persisted that the Mustang name will begin to grace additional vehicle variants — including a conventional four-door sedan. Given the cachet that the name carries, it’s not the most surprising move, though the expansion of the Mustang brand to sedans and crossovers and who knows what else is likely to infuriate a Ford purist or two. Of course, this is all just conjecture for now. Ford will likely reveal its Mustang-inspired performance PEV within the next year or so, and once it bows, we might have some indication as to how far the Blue Oval plans to stretch the Mustang brand.